Thank you very much for following @MYSADCAT - aka my 19 year-old cat, The Bear - on Twitter and/or Facebook. You might also be interested to know that there are four books about him, best read in order, which are really why the Twitter account exists. They're not books of the Twitter account but narrative books about The Bear, me, and the other cats we live and have lived with. 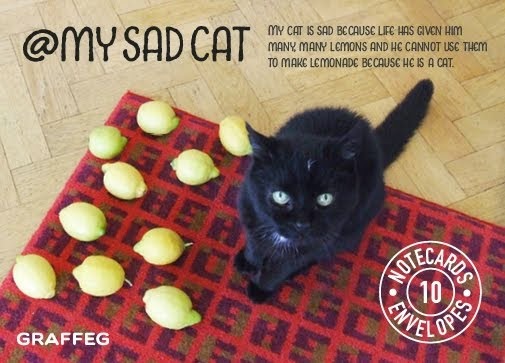 They're also a bit different to most cat books which, let's face it, can be a bit on the sentimental side. They are books about cats, but they're more books about life through the prism of cats. 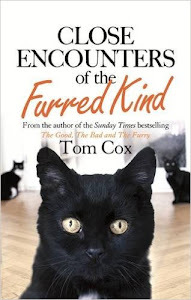 They include stories about lots of other animals, family (not least my very loud dad) and living in the British countryside. If you'd like to get an idea of whether you'd like the writing in them, the best bet would be to read some of the stuff here, and this piece about The Bear. 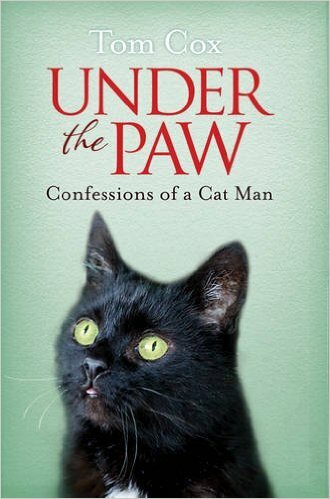 The first book about @MYSADCAT is Under The Paw, which was published in 2008. You can get it from amazon uk and Waterstones. If you're overseas, your best bet is probably to get it from the book depository, who conveniently do free worldwide delivery. The second book about @MYSADCAT - which stars @MYSMUGCAT on the cover - is Talk To The Tail, which was published in 2011. Again, you can get it from amazon uk and Waterstones but if you're overseas, I recommend the book depository. The third book about @MYSADCAT is The Good, The Bad And The Furry, which was published in 2013. As ever, it's available from amazon uk and Waterstones but it has also been published in the US and Canada. Here's the Book Depository link if you're elsewhere and want the British version of it. Italian and Portuguese versions have been published and there are Russian and French versions on the way soon. 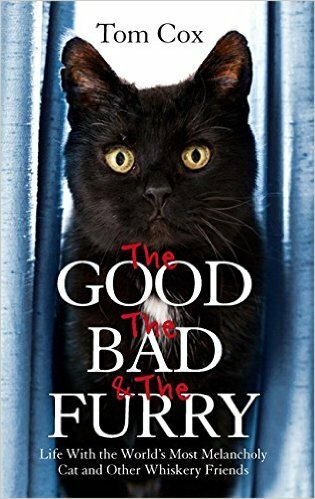 Finally, the fourth book about @MYSADCAT (my joint personal favourite, alongside The Good, The Bad & The Furry) will be published in October. You can pre-order from amazon or Waterstones or, if you'd like to support independent stores, Hive. if you're outside the UK, you can order from the Book Depository with free delivery. 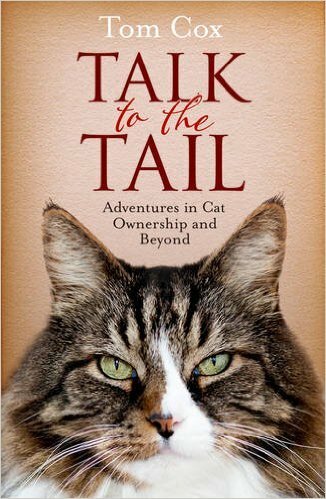 Thanks for the information about the publication date of the new book. Just bought your first 3 books, absolutely adore them - charming and witty and so so adorable. Can't wait for the next one! Love the title of the last one! What an intriguing series, think I'll have to start it!